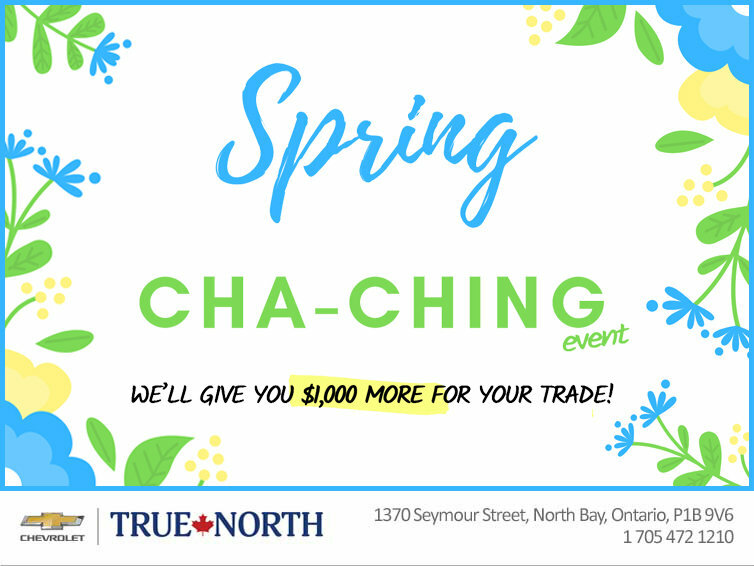 Home > Special Offers > Sales > Spring CHA-CHING Event! New Season, New Car, New Deals! We'll give you an extra $1,000 for your trade to help you SPRING into that New or Pre-Owned vehicle you've been dreaming about! If financing or leasing, the offer is only available O.A.C. The $1,000 off your trade will be worked into your deal and is not a cash offer.